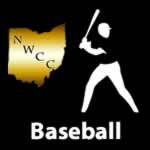 Hardin Northern – NWCCSports.com | The Official Site of the Northwest Central Conference for NWCC news, NWCC scores and more. Hardin Northern 16 Cory-Rawson 4, 6 inn. Marion Harding 16 Ridgemont 14, 9 inn. Riverside 21 Waynesfield-Goshen 1, 5 inn. Elgin 12 Waynesfield-Goshen 2, 5 inn. Lehman Catholic 18 Hardin Northern 0, 5 inn. Perry 20 Upper Scioto Valley 0, 5 inn. Elgin 24 Waynesfield-Goshen 0, 5 inn. Fairlawn 10 Ridgemont 0, 5 inn. Benjamin Logan 31 Riverside 0, 5 inn. 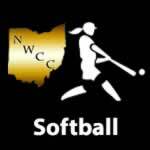 Upper Scioto Valley 21 Lima Senior 11, 6 inn. Hardin Northern 5 Ridgemont 4, 8 inn. Riverside 14 Perry 0, 5 inn. Pandora-Gilboa 12 Hardin Northern 2, 5 inn. Hardin Northern 24 Pandora-Gilboa 4, 5 inn. Hardin Northern 18 Pandora-Gilboa 0, 5 inn. Pleasant 22 Upper Scioto Valley 3, 5 inn. McComb 13 Perry 0, 5 inn. Riverside 10 Anna 0, 5 inn. Riverside 16 Hardin Northern 6, 5 inn. Lehman Catholic 22 Waynesfield-Goshen 6, 5 inn. Lincolnview 19 Perry 0, 5 inn. Elgin 13 Lehman Catholic 2, 6 inn. Perry 11 Waynesfield-Goshen 0, 5 inn.